Carbon Structural Integration (CSI) is a process that permanently bonds carbon to alloy, to create a true hybrid product, with many of the benefits of aluminum and Carbon. 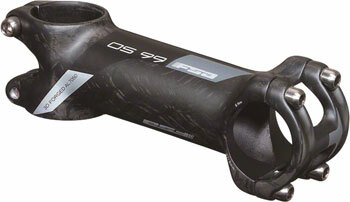 The OS-99 is 3-D forged and CNC machined from AL7050 before a 3K carbon weave skin applied through CSI process. To further reduce weight the OS-99 uses a 4 bolt sculpted AL2014 Alloy/Carbon faceplate and titanium hardware. 31.8 mm clamp diameter.